QED directors serve on several management committees and academic boards, from Foundation to Bachelors, and from natural medicine to creative arts and English. Our focus is always on building capability for quality teaching and learning, and these roles give us a unique and very broad perspective on the reality of running a diverse range of providers dealing with NZQA, ITOs and TEC, from strategy to operations and from recruitment to graduation. 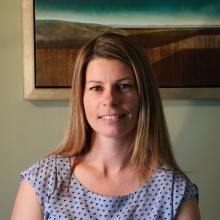 Dana joined us mid 2015 to offer awesome administration support, including magic MYOB simplicity. For the last few years Dana's focus has been on family, as well as various Committee roles including Treasurer of the school's PTA. Dana's previous experience includes sales and design in the printing industry as well as production and office duties. And she still likes to keep up her Graphic Design when she’s not sorting out QED’s operations! Qualifications to date include computing and business administration, in which she also has extensive experience. Outside the office Dana enjoys playing tennis, paddle boarding and camping. Andy has extensive experience in quality management of education and training both in the public and private sectors. 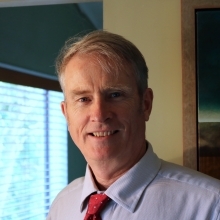 He has personally assisted over 100 training providers with a range of quality provision and compliance issues such as NZQA Registration; Course Approval and Accreditation; TEC funding issues; and Code of Practice for the Pastoral Care of International Students applications and reviews. One of Andy’s specialism is educational quality review, and Andy has enabled many providers to refine their systems so they were able to gain and maintain Category 1 status. Andy’s extensive experience as a trainer and educator began with his engineering background and he makes any training easily accessible and relevant to the participant so they enjoy his very practical, hands-on approach to training. Many will tell you that learning by participation characterises Andy's workshops. He teaches a full range of subjects including: Train the Trainer, Assessment & Moderation systems, Course design, review and evaluation, Management skills and Communication. Andy is also very strong in assessment and moderation and is currently the National Moderator for Adult Education and Training, Generic Education and Training and Educational Administration. Andy's knowledge of Govt agency requirements and his ability to clarify the seeming unfathomable made our application smooth sailing. His manner is so gentle and supportive that the pre-audit nerves were quickly soothed. We come back to Andy for all our compliance requirements: he has been ably assisting us now for 9 years. Warren has a background in teaching English language overseas and in New Zealand, including Italy and England teaching international students from all parts of the world. He has also coordinated new settler education at a polytechnic in Auckland. Warren then moved into mainstream staff development, responsible for training teachers at polytechnics and private training establishments as well as groups of teachers from a range of countries, including Thailand, Malaysia and Korea. 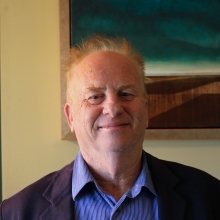 Warren left the public tertiary sector to found QED Associates in 1996, with a group of other education specialists. Since then, he has facilitated teacher training and provided a broad range of consultancy services to educational organisations. His special interests in adult education include lesson planning, student-centred learning and standards-based assessment. In educational consultancy, Warren has particular strengths in course and programme design, resource development, programme evaluation and organisational audit. His extensive experience ensures a high success rate in achieving positive outcomes for clients. 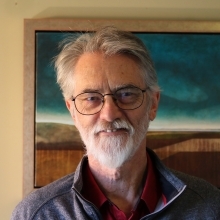 During Pieter's 19 years in the tertiary sector he has helped new and existing tertiary education organisations achieve success with NZQA accreditations, degree applications and monitoring, programme approvals & changes, self assessment and External Evaluation & Review. Pieter has successfully assisted several organisations achieve Category 1 EER outcomes, as well as TEC funding applications, Investment Plans and Single Data Return reporting. He has been the National Manager of a SAC-funded PTE that had international students, ESOL and foundation courses as well as multi-year qualifications including a Bachelors degree. Along with quality assurance and communication within organisations, he is skilled and experienced in marketing. He is specially interested in stakeholder engagement to ensure optimum educational outcomes and how the quality focus within TEOs aligns with current NZQA emphasis on Self Assessment Capability and Educational Performance. He has read and analysed hundreds of EER reports. Pieter has a proven record of providing practical training and documentation to ensure staff engage with relevant measures and procedures. By identifying shared goals and streamlining reporting he has helped bring positive outcomes for many organisations. He has run workshops on self assessment and EER since 2011, including at several conferences. Appreciated Pieter's honesty and humour. Found QED’s input into our EER preparation process extremely valuable. We especially appreciated your advice on the areas that we needed to highlight in terms of organisational best practice that aligned with what would be deemed significant by NZQA. Our staff were very positive about yesterday's session and are starting to feel much more confident about what sort of results talk to get used to; it will no doubt have benefits beyond the EER itself. Thank you for the effort and thought you put into our team. QED works with a range of subject matter experts for different roles, including workshop facilitation, moderation, programme development etc. We also have an active Advisory Group and an extensive range of contacts across the education sector. To keep with our simpler website layout we’ve kept our people list simple for now – but can assure you we have the people to make your project work. Please let us know how we can help you develop your capabilities for quality teaching and learning.